We’d love your help. Let us know what’s wrong with this preview of Spirit of the Rebellion by Debbie Peterson. Ready for a fresh chapter in her life, Shae Lynn Montgomery accepts a job translating a cache of Civil War documents from Wisconsin’s famous Norwegian regiment. 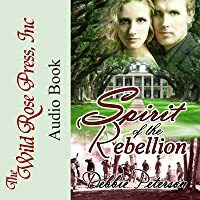 The assignment takes her to Chickamauga’s haunted Starling Plantation and face-to-face with a handsome captain—its angry ghost in residence. Tristan Jordahl, falsely accused of treason, has no use for the living—not even the lovely translator invading his home. Despite Tristan’s best efforts to frighten her, Shae Lynn refuses to leave, and reluctantly, Tristan enlists her help to clear his name. But as they grow closer to the truth—and to each other—an evil spirit makes it clear he will do anything to stop them. To ask other readers questions about Spirit of the Rebellion, please sign up. I took this book on my Spring Break vacation thinking I would get half way through it. I finished it the first day while sitting on the beach. I could not put it down! Tristan is valiant, Shae is determined, Nils has an awesome evil laugh and I have a horrible sunburn. I loved this booked. Debbie Peterson proves with Spirit of the Rebellion that love can in fact conquer all. In this unique story a translator is desperate to prove that the ghost she's come to care for isn't the traitor history has made him out to be. Through this unlikely love story the reader is easily drawn into this dreamlike world where suspending your disbelief only adds to the enjoyment. The characters in this story are what make this so memorable and enjoyable. As the lone human in the grand mansion, Shae goe Debbie Peterson proves with Spirit of the Rebellion that love can in fact conquer all. In this unique story a translator is desperate to prove that the ghost she's come to care for isn't the traitor history has made him out to be. Through this unlikely love story the reader is easily drawn into this dreamlike world where suspending your disbelief only adds to the enjoyment. The characters in this story are what make this so memorable and enjoyable. As the lone human in the grand mansion, Shae goes out of her way to bond with the ghosts whose presence she's very accepting of. She easily becomes a member of their little family and they become very protective of her. Shae's easy acceptance of her ghostly roommates made her extremely likable and showed her strength of spirit. She's desperate to get to the truth which leads to some dangerous encounters. Each ghost had unique characteristics that made them very endearing. From young boy Timothy waiting for his mother to nurse Amy who died caring for her patients, each of their stories brings a tear to your eye. Tristan is the one ghost who doesn't welcome Shae with open arms because he fears her judgement when she reads what's thought of him. After his best friend labeled him a traitor during the Civil War, he finds trust difficult. Her strength and courage win him over and only by putting his complete trust in her can he find peace and an end to his loneliness. Even though they can't physically touch, their romance is still sweet and full of sexual tension. It takes a miracle to reach their unconventional HEA which is one big tearjerker but well worth the wait. Do you like books that have a houseful of ghosts with varying personalities? Where the heroine is clever and strong spirited in character? Do you like a ghostly hero that is chivalrous in nature and comes to the rescue? 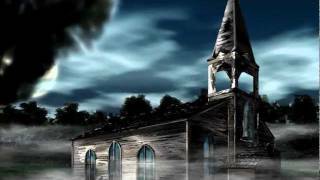 Where the Hero and Heroine go on this adventure to discover the truth to an old set up that occurred many years ago? And a story that ends with an Happily Ever After? If your answer is YES then you will really enjoy reading this book!! I really enjoyed the book and wished I was Do you like books that have a houseful of ghosts with varying personalities? Where the heroine is clever and strong spirited in character? Do you like a ghostly hero that is chivalrous in nature and comes to the rescue? Where the Hero and Heroine go on this adventure to discover the truth to an old set up that occurred many years ago? And a story that ends with an Happily Ever After? If your answer is YES then you will really enjoy reading this book!! I really enjoyed the book and wished I was able to read it beginning to end without any disruptions. I didn't want to put it down at all and those are the kind of books I especially love to read. I loved how the author blended Norse mythology into the story to make the heroine understand what occurred all those years ago. And how she unravels it a little at a time to show you what happened. I liked the bit of History she integrated into the story to give you an idea of the battles fought at that place in Tennessee. I enjoyed the ghostly side characters and the fun the brought to the story. I really loved the romance between Shae and Tristan and the way you discover how their love started. And though their romance started a little rocky at first, I like how they cleared misunderstandings and came to rely and get to know each other. That turned them into an extraordinary, romantic couple. This was a simply fabulous read and one that really was a delightful surprise. Obviously done with a lot of research, you didn't feel bogged down by the facts, but rather swept into the echoes of the past. Additionally, the inclusion of a bit of mythical lore makes for an unique twist. Both the main characters and side characters are introduced carefully, making for realistically developed relationships. The romance is heart-wrenching and wonderful and simply toe-curling. It really pulls you in. This was a simply fabulous read and one that really was a delightful surprise. Obviously done with a lot of research, you didn't feel bogged down by the facts, but rather swept into the echoes of the past. Additionally, the inclusion of a bit of mythical lore makes for an unique twist. Both the main characters and side characters are introduced carefully, making for realistically developed relationships. The romance is heart-wrenching and wonderful and simply toe-curling. It really pulls you in. This one will definitely keep you reading and reading to find out what will happen next. I was almost disappointed that it was over since it was such a delight to read. I would highly recommend this one. Hello again everyone, thanks for stopping by. I know this is suppose to be an Interview and Review buuut my Word document won't open up so I can't get to the interview and I have not gotten a response about it yet. Because I didn't want to miss the stop entirely I am at least going to post a review because ladies and gent's it is fabulous. When I am able to get the Interview up I will do so immediately, but unfortunately I have a 14 hr shift right after I post this so it might not be today. Anywa Hello again everyone, thanks for stopping by. I know this is suppose to be an Interview and Review buuut my Word document won't open up so I can't get to the interview and I have not gotten a response about it yet. Because I didn't want to miss the stop entirely I am at least going to post a review because ladies and gent's it is fabulous. When I am able to get the Interview up I will do so immediately, but unfortunately I have a 14 hr shift right after I post this so it might not be today. 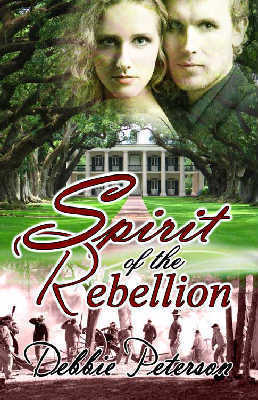 Spirit of The Rebellion is a ghost story, mystery and love story wrapped up in one convenient package that in the beginning I was wondering how the author would be able to pull it off. Don't get me wrong, it was a great book, but I have read a ghost story that is a love story and I just couldn't wrap my head around the idea so it took away from the book. Thankfully it was not the case this time. It starts off with Shae coming to a new house, fully aware that the tenants, may have left their bodies' but they are still among the living, just as ghost's, 6 of them in fact occupy the Starling house plantation and they don't like new room mates with a pulse. During her stay Shae is translating documents from Norwegian to English and vice versa for her work and comes across a Civil War mystery involving treason. As she charms the life back into the place and each of the ghost's fall in love with her personality, some more then other's, join her in a trip back in time to clear an innocent man's name. I happened upon this book completely by accident, and boy am I glad I did. It combines several of my favorite elements - - paranormal romance, a Civil War hero, and a modern day heroine. Captain Tristan Jordhal fought nobly in the Union Army before being betrayed and murdered by a trusted ally. The only person capable of clearing his name is Shae Lynn Montgomery who has settled into Starling Manor (the manor home were Tristan died) for the purpose of translating nineteenth century documents writ I happened upon this book completely by accident, and boy am I glad I did. It combines several of my favorite elements - - paranormal romance, a Civil War hero, and a modern day heroine. Captain Tristan Jordhal fought nobly in the Union Army before being betrayed and murdered by a trusted ally. The only person capable of clearing his name is Shae Lynn Montgomery who has settled into Starling Manor (the manor home were Tristan died) for the purpose of translating nineteenth century documents written in Norwegian. (Did I mention there is a hint of Norse mythology, another favorite topic of mine, intricately woven throughout the compelling plot?) While initially doing everything he can to drive her away, Tristan soon realizes Shae is the one person capable of clearing his name. More than that, he develops an attraction to her that defies logic. When Shae finally meets Tristan “face-to-face” she is struck by the connection they share. How do a ghost and a mortal who fall in love overcome the boundaries that separate them? That would be giving the plot away, a lovely ball of twine that weaves rivalry, betrayal, and buried secrets among its many nooks and crannies. Beyond my obvious enjoyment for the story, I completely fell in love with Tristan, a hero to make any woman’s heart go pitter-patter. This is a sweet romance with paranormal elements… a beguiling and sigh-worthy read that I fully intend to enjoy over again. Even though this book has all the makings of a paranormal romance novel - hello, living woman from the present and dead man from the 1860s fall in love - it doesn't read like one. In fact, if it weren't for the constant reminders Tristan's dead, Spirit of the Rebellion could easily be hailed as a regular ol' romance novel. I'll keep this one short and sweet: our two main characters, Shae and Tristan, meet when Shae takes a position translating Civil War documents. She moves back to the United States (she had been living in Norway for the few years prior) and is given temporary residence at the Starling Plantation. It's no secret Starling is home to multiple spirits. People don't enjoy spending time there and anyone who attempts to settle in has been driven out quite forcefully by a particular spirit. Unfortunately for him, Shae is as stubborn as they come and having papers scattered about her desk isn't nearly enough to scare her off. As Shae comes to know the spirits (I loved how she introduces them to modern technology - they have movie nights, for example, and 12-year old Timothy is particularly intrigued by Lord of the Rings), she uncovers the truth regarding Tristan's past and the cause of his death. History branded him a traitor and as she translates documents, she discovers what really happened. I have an extremely large interest in the Civil War and was eager to read this novel. Its faults are few and the writing is gripping. The story moves very quickly and the chapters are all fairly short (around 10-ish pages). Unfortunately for me, that wasn't necessarily a bad thing. lol multiples times I fell for the trap of "I'll only read one more chapter!" and, because the chapters are so short, wound up sneaking a couple more in. Before I knew it I was halfway into the book! I received this book through the First Reads giveaway program on Goodreads. Wonderful ghost story, even though it drags in a few places. I cried, I laughed and I fell in love. This wonderful story had it all. This was magical from the beginning until the end. Shae Lynn Montgomery (sweet, passionate, strong, loving and wickedly spirited) has been working in Norway on Norwegian history. Badly in need of a change after the recent break-up with her ex and the horrific nightmares she has been having recently. One comes in the opportunity to come to Tennessee to work on documents from Wisconsin’s famous Norwegian Regiment from the Civil War. Thinking a change of scenery is just what is needed off she heads to America. She is put up in Chichamunga’s famous Starling Plantation which just happens to be haunted. Shae is not afraid of the supernatural she has dealt with ghosts before. Before encountering Captain Tristan she encounters a few of the other ghosts that inhabit the Plantation. Each one has a story to tell and a personality all their own. Tristan Jordahl, Norwegian Captain during the Civil War. He is accused of treason. Not wanting to deal with it he tries hard to get Shae to leave his home. Eventually Tristan seeks her help and they form a bond of friendship that grows the closer they get to the truth. As they come across information and Shae’s nightmares keep accruing, Shae finds help through her dreams and shares a strong passion with Tristan her captain. She wants so much to prove his innocence and they are led on a journey to the church where the betrayal of a childhood friend, Nils. I loved the whole mythological aspect with a touch of history. This story I think had just the right element of information on the Civil War. Some may disagree and want more but I feel that any more would take away from the romance/mystery of the storyline. Ms. Peterson brings the ghosts to life making them actually more appealing to talk to and deal with then the humans in the story. She wrote a very loveable tale of ‘soul mates’ that meet touch and send you on an emotional experience into the supernatural. As she shows that romance transcends time and real heroes do exist even if they are only ghosts. Ms. Peterson shows great detail to description making the story come alive. At times you may even find yourself wondering if the ghosts are real. Spirit of the Rebellion is the story of a historian who specialises in all things Norse, and a Norwegian Captain of the Civil War, long presumed traitor to his country. Shae Lynn has the opportunity to go to Tennessee to scan and translate some rare documents, but the house she will be living in has the reputation of being haunted. Luckily for her, this isn't her first encounter with ghosts, so she accepts. Once there, she meets the ghosts, starts her work, but also finds more than she bargained Spirit of the Rebellion is the story of a historian who specialises in all things Norse, and a Norwegian Captain of the Civil War, long presumed traitor to his country. Shae Lynn has the opportunity to go to Tennessee to scan and translate some rare documents, but the house she will be living in has the reputation of being haunted. Luckily for her, this isn't her first encounter with ghosts, so she accepts. Once there, she meets the ghosts, starts her work, but also finds more than she bargained for in Tristan. So many twists and turns to this book as they both try to unravel the mystery behind the who and why of Nils' actions. With an outstanding cast of supporting characters, this story fairly trips along, not dragging in anyway. If I had one complaint, it would be not knowing for sure how Amy, Beau, Timothy, Horace, and Chauncey got on! Exceptionally well written, with no editing or grammatical errors to disrupt the reading flow, this is a wonderful story from start to finish. A romance that transcends barriers! Absolutely recommended by me. This tells the story of a Civil War soldier who was accused of being a traitor during his lifetime. A woman, Shaelynn, moves into the house where his spirit has been living for the last century. She is working on translating some documents for a museum exhibit. She realizes that it is her responsibility to find out what really happened during the captain's life. I originally picked up this book because it has elements of the Civil War in it. Besides that, the novel really was not what I was expe This tells the story of a Civil War soldier who was accused of being a traitor during his lifetime. A woman, Shaelynn, moves into the house where his spirit has been living for the last century. She is working on translating some documents for a museum exhibit. She realizes that it is her responsibility to find out what really happened during the captain's life. I originally picked up this book because it has elements of the Civil War in it. Besides that, the novel really was not what I was expecting. Within the first five pages, there is a lot of references to Norse mythology which I personally am not very interested in learning more about it. Even though I did not really like the book, if you are interested in books that have supernatural elements, then I think that you would really enjoy it. Another Wow book. I really enjoyed reading this story even if it was about romance between mortal and a ghost. This author weaves wonderful tales with so much intrigue and depth that you can't possibly put it down. It's one worth reading more than once. I loved her characters and descriptions. Wow. I fell in love with Tristan too! Love history and ghost stories so this book was the best of both worlds. Shae was fearless and awesome! Highly recommend! Wish I could get my hands on his jacket too! There were many aspects of this story that I really did enjoy, including the ending, but I felt the ending was a bit rushed and without a necessary explanation for the way it would play out. Debbie is an author of paranormal and fantasy romance. She has-and always has had-a soft spot for fairy tales, the joy of falling in love, making an impossible love possible, and happily ever after endings. She loves music, art, beautiful sunrises, sunsets, and thunder storms. When she's not busy conjuring her latest novel, She spends time with the members of her very large and nutty family in the lovely, arid deserts of southern Nevada. She also pursues her interests in family history (which she also teaches), mythology, and history.